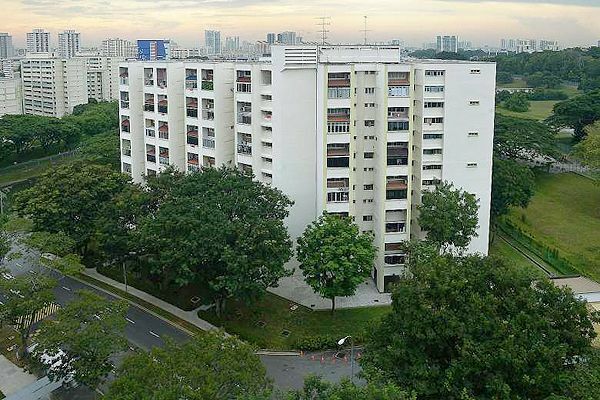 Located in Potong Pasir, Raintree Gardens is set to be put up for collective sale yesterday (31 August 2016) with a base asking price of S$315 million (about S$759 psf ppr). Comprising of two maisonette blocks which are 12-storey tall and another one 7-storey block, the 175-unit former HUDC estate which was built back in the late 1980s has a vast land area of approximately 201,405 square feet (sqft) and has a 2.8 plot ratio, according the the Master Plan 2014 by the Urban Redevelopment Authority (URA) of Singapore. Property experts have mentioned that the site offers a direct and unblock frontage of approximately 200m, spreading across the Kallang River waterfront. The new launch project in future is expected to yield about 600 – 748 residential units. They have also added that with the upcoming development of the Bidadari estate, the surrounding amenities and its close proximity to the Potong Pasir MRT Station, it will set to draw plenty of attention from property buyers. In fact, Potong Pasir has received raving attention from home buyers and investors in recent years for new launch condo projects within the vicinity. Strong sales were seen the likes of Poiz Residences and also Venue Residences with are just next to the MRT Station. Based on the minimum asking price, each unit at Raintree Gardens is set to be offered a S$1.8 million payout. On top of that, the property developer will be required to pay a differential premium to top-up the current lease back to 99-year and development charges to the government to intensify usage of the site, the estimated breakeven amount is likely to be around S$1,250 psf. Thus, the eventual selling price of the new units will be averaging about $1,450 psf. Market watchers have given this site a solid vote of confidence and are expecting the demand to be even stronger than the en bloc of Shunfu Ville earlier in May, due to its lower quantum (almost 50% lower based on the minimum asking price of Raintree Gardens). The tender will be closed on 05 October 2016. Elsewhere, property developer Roxy-Pacific are in the midst of concluding an en bloc agreement for Harbour View Gardens – a low-rise residential development along Pasir Panjang Road, with a land area of 30,745 sqft and plot ratio of 1.4. The price currently stands at S$33.25 million.